More than a decade of global experiences in money exchange and wire payment sector. It seems like only yesterday we established our first humble footprint in Melbourne, Australia in July 2005. The company was registered in a hotel room at Unilodge on Flinders St. We have been making foreign exchange easier since then! The second year, Everforex managed to achieve the Australian Financial Services License (AFSL# 297499), the highest qualification in Australian financial markets. Today, Everforex has become one of the major currency exchange and fund remittance service providers. We are trusted by hundreds of thousands of happy customers. Everforex SMS Notification system was rolled out. Everforex Online will generate and send SMS messages to client registered cell phones for notifying some important items such as password reset, large transactions and more in the future. All SMS will be sent from Everforex' dedicated phone number (647) 696-8899. Everforex Online trading platform was completely rewritten and upgraded to support desktop and mobile devices. Everforex successfully passed a two-day onsite AML review conducted by The Financial Transactions and Reports Analysis Centre of Canada (FINTRAC), the Canadian government's financial intelligence unit. Everforex' 8th branch grandly opened in Main St (at 198 E 15 Ave) in Vancouver. Everforex successfully passed an one-day onsite AML review conducted by Grant Thornton, a top ranking international consulting firm in the world. Everforex trading system released the latest features of internal data sharing centre. The rollout makes it easier than ever on customer record keeping and management, which is a magnificent milestone to the ultimate Big Data plateform on our business software construction and best practice implementation. Everforex started to accept Interac e-Transfer (Email Transfer) from any bank in Canada. Interac e-Transfer is a convenient and secure way to move fund. Everforex.ca was completely redesigned and implemented with a responsive layout. New company logo was also released. With zero dificiency, Everforex' seven branches passed the indepedent compliance audit by Grant Thornton. Everforex North York branch opened..
Everforex Vancouver Downtown branch opened. Everforex started accepting POS payment partnered with Moneris Solutions. Everforex Online started providing 24*7 access, from only day-time trading previously. Everforex Vancouver Oakridge branch opened. EVERFOREX ® became the Registered Trademark approved by CIPO. Everforex Richmond branch was established. Opened on 2007.11.05. Everforex Remote Trader V2.0 released. Everforex' reward point system in production. Everforex Online, the one of very few online currency exchange platforms in the world, rolled out..
Everforex was granted AFS license by ASIC in Australia. It's one of the largest milestones in our history. 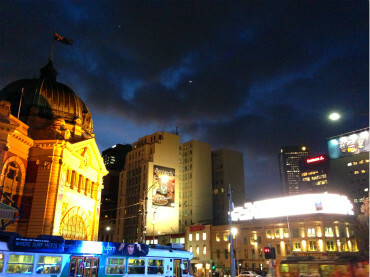 In June our first branch on Collins street in Melbourne opened. Everforex was registered in Melbourne, Australia.